At some point during your time in Switzerland you are going to have to fill out tax return forms. When you do it will depend on your permit status, salary level, nationality and length of your stay. Even if you speak good German, this can be confusing and it can be hard to know if you are really filling out the forms right and if you are taking advantage of all of the relevant rebates. The best thing you can do is get a tax advisor. For filling out the tax returns forms for easy cases, this will cost only about CHF 200 each year. It will probably save you a lot more than that on your tax bill, and will save you a lot of stress. Thanks to a comment on a previous blog post I am reusing my answer here to give a little information on whether or not you should buy a car when coming to St.Gallen. Firstly the costs. For the numbers below, I have not factored in the actual investment in a buying a vehicle. You can bring one across the border, but the tax implications often make that impractical. It is worth checking this depending on the value of the car you are importing. This assumes an average family car which is in good condition. 1) Are you cost sensitive? If you are then you will probably stay away from having a car. I ran the numbers a couple of different ways but each time it comes out a lot more expensive. 2) Convenience. Having a car is convenient, especially when you want to go shopping in Austria or if you want to go to the mountains. But for parking in cities or intercity transport, you will find that having a car is fairly annoying. 3) Public transport. If you live on a frequent bus route then you will find that a car is not needed regularly. But if you find that you are relying on buses 9, 10 or 11 (or just a postbus) you will find that buses are not frequent enough or just stop in the evenings and Sundays. 4) Mobility. Mobility is a car share company across Switzerland. There are 20 different locations around St.Gallen where cars are located and around 50 vehicles available. If you decide to go without a car, then signup for a year membership with Mobility. The cost is low, particularly for journeys less than 24hrs, and it is very quick and easy to pick up a car. 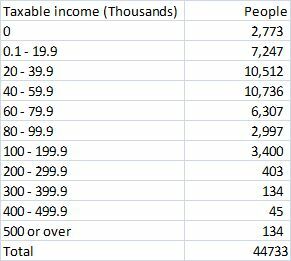 Here’s a useful (hopefully) table that I used for estimating expenses for St.Gallen. This is just about the minimum required to live comfortably within the city limits. If you are coming as a student there are a number of ways to cut a lot of costs. If not though you should plan to earn about CHF 500-1000 above this (if possible) to avoid problems with non-planned costs, particularly health related. Now that you know how much it will cost to survive in St.Gallen (roughly! ), you probably need to know how much you need to earn and how much you can ask for. Salary negotiations in Switzerland are notoriously difficult for foreigners particularly those moving from overseas. Swiss job adverts rarely show salary and potential employees are often expected to state their salary requirement either before or during the interview. This can be advantageous if you know what the going rate is and how much to push it. But more likely, you will either ask for too much and have to climb down (or miss out entirely) or ask for too little and miss out on a few thousand that would have made your life a lot easier. This is a rough guide that will vary between industry and company, so don’t hold me to it…. If you are considering moving to St.Gallen, this is probably one of the two most important things you are going to search for. The second is salary levels in St.Gallen and they go hand in hand when you have to decide whether the famously high salaries of Switzerland will afford the infamously high living costs. Trouble is that as you have probably found, almost all of the info you have found online is either a national average or it is focused on life in either Geneva or Zurich area. Salaries in St.Gallen are lower than in either of these areas but thankfully so is the cost of living. There is also a large disparity across the country. Single person: CHF350/mth is just about the bottom end of the scale for a single room studio apartment, but don’t expect any luxury. Reasonable studios and 1/2 room apartments go from about CHF 500 to 800 with the upper end being CHF 1200. For students, you may want to consider joining into a group of 3-4 people and for CHF 400 each you could get a very nice shared apartment with all the mod-cons. These prices are for unfurnished places as there are very few furnished options. Add about CHF 2-300 per month on for furnished apartments, but it may just be cheaper to pop to IKEA when you arrive. Couple: Starting a about CHF550 for rock bottom 2 person studio apartment, but reasonable quality would be between CHF 700 to 900. Bear in mind that many landlords won’t rent to you if they think that the apartment is too small for the number of people. So don’t think you can squeeze a family of 4 into a 1 room apartment to save money. The immigration office will also regret family visas if they think that your accommodation is too small. Family (3-4 people): You need to start looking at apartments marked 3 rooms (zimmer) or upwards. The cheapest I have seen is about CHF 800/mth but if you have a child you should think of the area and basic hygene standards and start budgeting for CHF 1100 upwards. Nice 4 room apartments start at around CHF 1500 up to CHF 2000 depending on the area. City bus: CHF 67/mth or about CHF 650 for the year gives you unlimited city wide (zone 10) travel on any transport. You need a 1/2 price card (halbtax) to buy the 12 month version though. Parking: Bluezone (roadside around the city) costs CHF 106/mth but don’t forget that you need to budget for parking at your apartment. This is rarely included and can cost anything from CHF 50-200/mth depending on the part of the city. Landlords rarely include the parking for free but often have it as an extra rental cost.